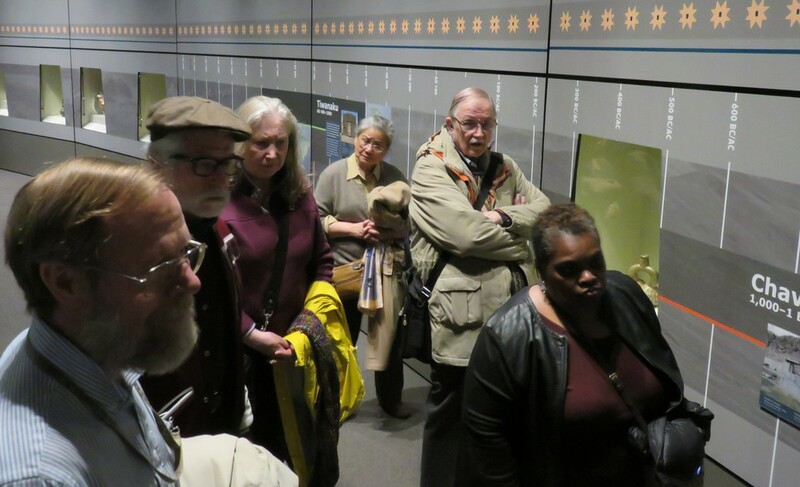 On Saturday, March 18, 2017, members and guests of the Washington Map Society met at the National Museum of the American Indian in Washington D.C. to learn how maps are integrated within an exhibit environment. 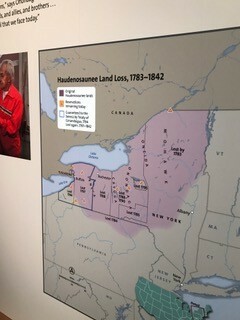 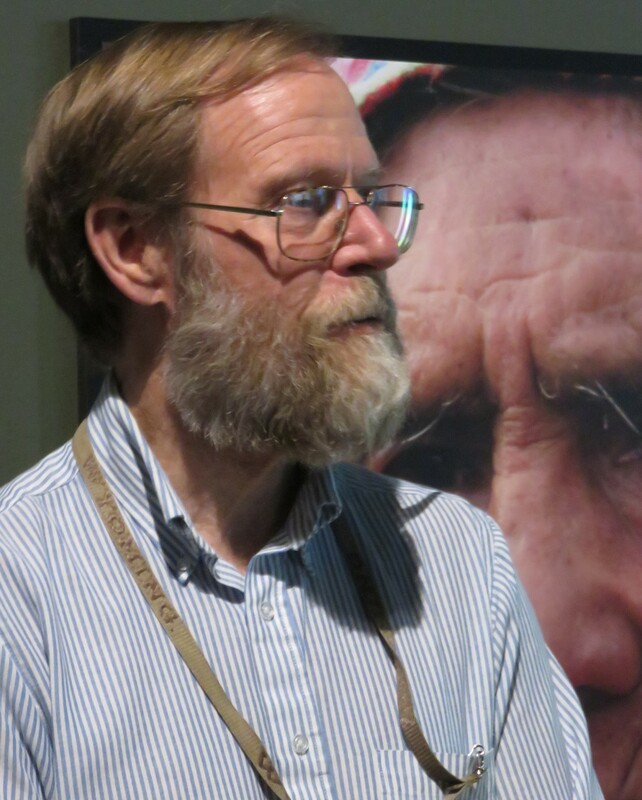 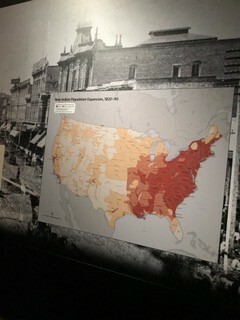 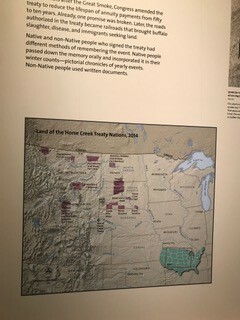 The tour was led by Daniel Cole, who has served as the Research Cartographer for the Smithsonian since 1986 and as the Institution's GIS Coordinator since 1990. 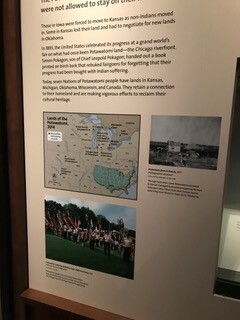 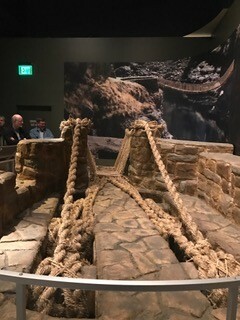 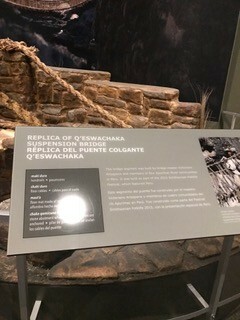 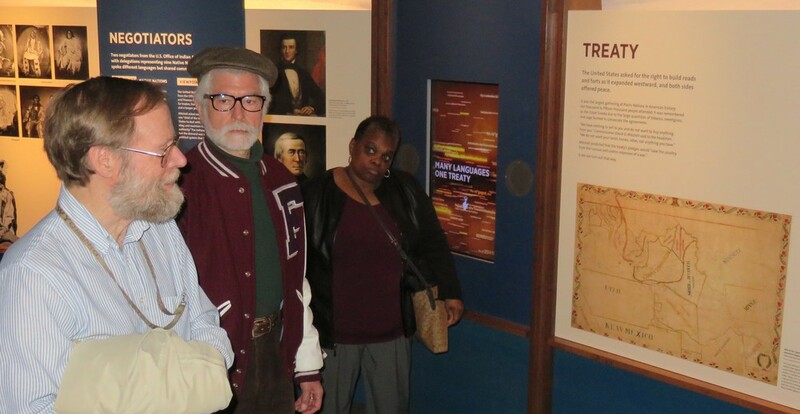 The field trip visited two exhibits with discussions about the maps involved in each: "The Great Inka Road: Engineering an Empire" and "Nation to Nation: Treaties Between the United States and American Indian Nations." 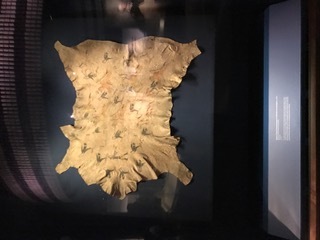 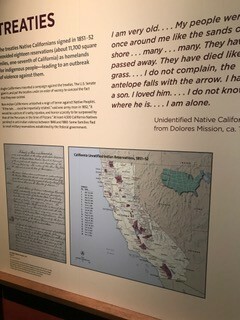 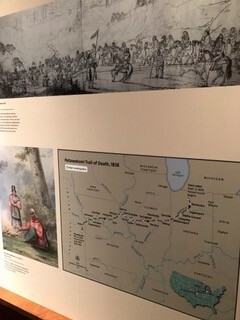 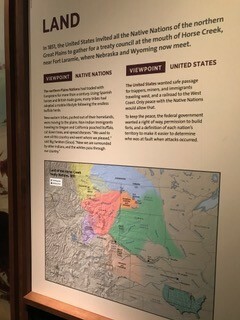 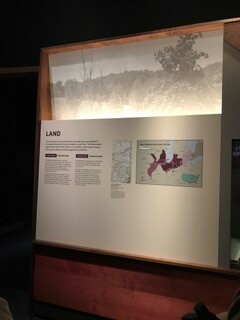 The Society will meet at the National Museum of the American Indian (4th St & Independence Ave SW, Washington, DC 20560) to learn how maps are integrated within an exhibit environment. 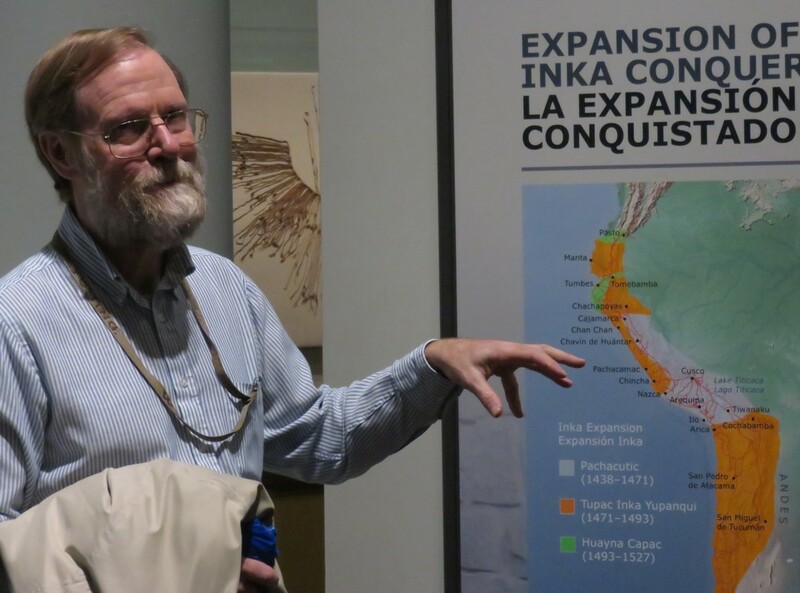 The tour will be led by Daniel Cole, who has served as the Research Cartographer for the Smithsonian since 1986 and as the Institution's GIS Coordinator since 1990. 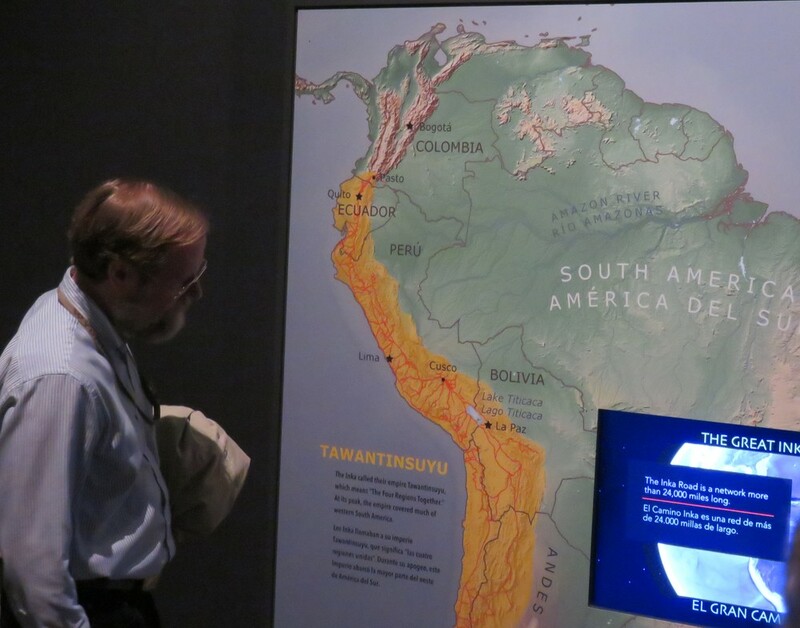 The field trip will visit two exhibits with discussions about the maps involved in each: "The Great Inka Road: Engineering an Empire" and "Nation to Nation: Treaties Between the United States and American Indian Nations." 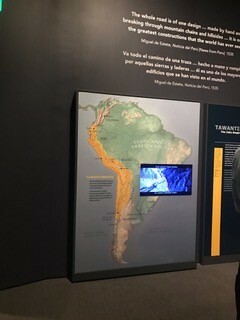 The tour will last approximately 1.5 hours. 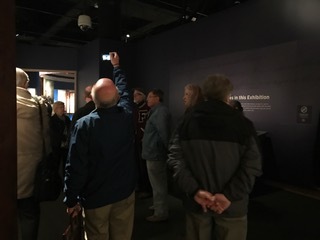 Afterward members can tour the museum at their own pace. 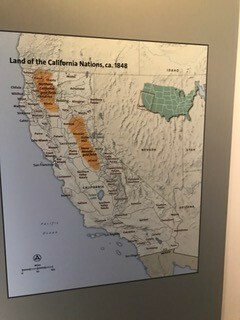 On the premises are the Mitsitam Café, open daily 11 AM–3 PM; closed December 25 and the Mitsitam Coffee bar, open daily 10 AM-5:30 PM. 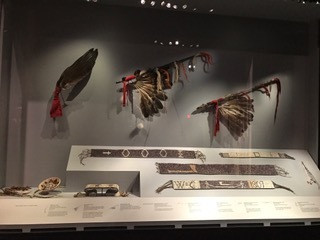 The museum will begin closing at 5:15 PM. 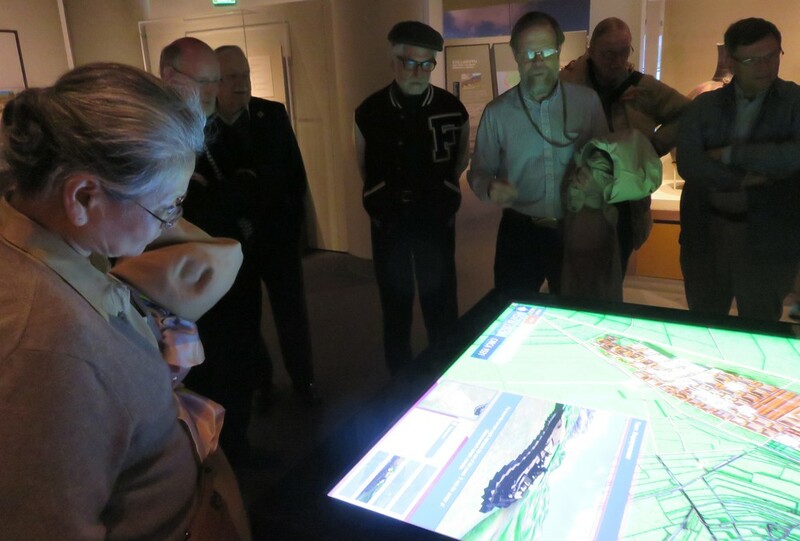 Visitors should be prepared for a security check upon entrance to the museum. 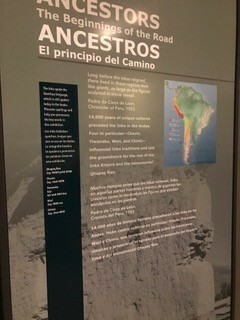 Please note there may be a line to enter the building on busy days. 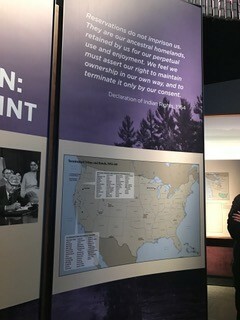 Security policies and a list of prohibited items are available on the Security page.